Would you like help writing a paper for class? Do you need help with math? How about help with test prep? 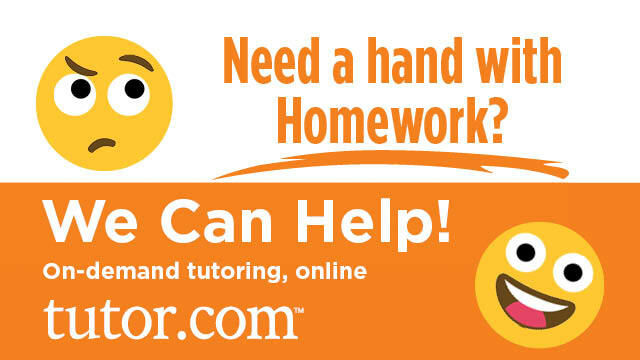 Get on-demand online tutoring every day from 2 PM to 9 PM with Tutor.com—free with your library card! The Testing and Education Reference Center offers practice tests and test prep e-books for AP exams, SAT and ACT, military exams such as the ASVAB, and more!